Acharya Institute of Management & Sciences (AIMS) Bangalore,Admission, Courses, Fees, Photos and Campus Video, Review, Ranking Details. Established in 1994, Acharya Institute of Management & Sciences (AIMS) is one of the most prestigious institutes of the country for management education. Bachelor Degree in Hotel Management and Bachelors Degree in Science with Computer Science as a specialization were the very first courses started since its inception. 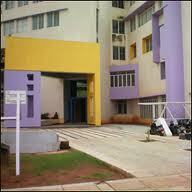 Both these programmes are affiliated to the Bangalore University. To impart curriculum in the best way, it applies innovative approaches in both teaching and learning sectors. Located in the center of Peenya Industrial Area known as the largest industrial hub in Asia. With its world class infrastructure, AIMS offer best facilities to students and staff. AIMS have its own Center for Training and Development (ACTD) which helps students in getting best jobs in the industry. Separate accommodation facilities are provided for boys and girls. Students also get the option to choose from Single / Double / Triple Occupany accommodation.